While putting a motion forward this week, senator Art Eggelton acknowledged our partner Farm to Cafeteria Canada, for their Farm to School program. 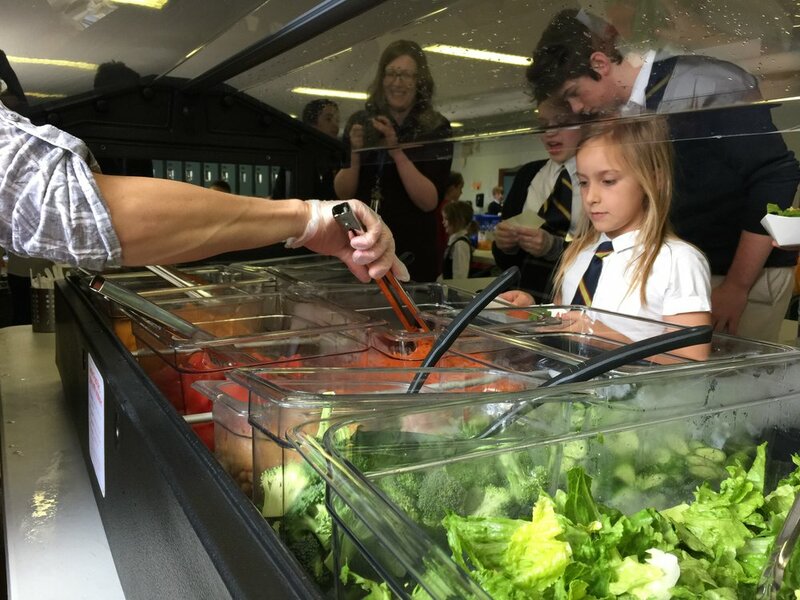 It was this very program that helped create the farm to school salad bar in place at St. Bonaventure’s in St. John’s (and the 3 others forthcoming to our province!). It’s really great to see senate’s recognition of this national movement, as it is focused on getting more local food onto the lunch trays and minds of students across the country. The motion was to, "Urge the Government to Initiate Consultations with Various Groups to Develop an Adequately Funded National Cost-shared Universal Nutrition Program." “Children are growing up in a society that increasingly reinforces bad eating habits and actually works against achieving a healthy lifestyle,” Senator Eggelton said, before suggesting the Minister of Health should start to work with provincial and territorial counterparts in advocating for youth breakfast and lunch programs as well as nutrition literacy courses. He went on to say that 20% – 1 in 5 – Canadian youth are overweight. “There has been a threefold increase in the proportion of obesity in the last three decades. Childhood obesity research tells us that obese children are unlikely to outgrow weight issues as they mature. The Childhood Obesity Foundation states that if current trends continue, by 2040, up to 70 per cent of adults aged 40 years will be overweight. “To avoid this future, Canadian children need to get a healthier start today. This will require contributions from all levels of society. Parents, teachers, coaches and the federal, provincial, territorial and local governments all have a role in this fight if we are to see an appreciable effect on the health of our children. This past October, the Minister of Health announced that the Public Health Agency of Canada would invest over $1.2 million over three years in a program called Farm to School: Canada Digs In! I am pleased to announce the Government of Canada’s support for this project that will make it easier for Canadian children and youth in schools and on campuses to access and learn about healthier food. Encouraging children and youth to try healthy food options, and learn more about where their food actually comes from, will help build the foundation for a lifetime of healthy eating.